← Has Discovery Channel Become Interested In Science? Most of the ice being lost from Antarctica is going as a result of warm water eating the fringes of the continent, scientists say. The researchers used a satellite laser to measure the thinning occurring on ice shelves – the floating tongues of ice that jut out from the land. The team’s analysis found the shelves’ shrinkage could not be attributed simply to warmer air temperatures. Rather, it is warm water getting under the floating ice to melt it from below. This is leading to a weakening of the shelves, permitting more and more ice to drain from the continent’s interior through tributary glaciers. Previous studies have already indicated that warmer waters are being driven towards the continent by stronger westerly winds in the Southern Ocean. Sea ice is expanding around Antarctica because the water is getting warmer. Makes sense if you have the IQ of a turnip. Ice melts in water. Thank you Polar observers. How warm could that water be ? Ice also melts in Whiskey! Ocean currents do explain the asymmetry in Antarctic ice relative to the mean (i.e. more than avg on one side of the continent, less on the other side. As for temperature data, what does Argo say? I’ll need that research data on turnip IQ’s, just to be completely certain. I have seen the PEAR reviewed research on the IQ of a turnips and these researchers have not achieved that high a level. They may have achieved a level comparable to dinoflagellates. But even that is to close to call. The Russians just drilled thru 4,000 meters of ice into the fresh water Lake Vostok in Antarcticia. This 14,000 sq km lake is the size of Lake Ontario and has a dissolved Oxygen level that is 50 times other fresh water lakes. The top ground surface temperature is average of -50F annually. Maybe the HEAT, the fresh WATER and the dissolved OXYGEN all flow UP from below. The heat from Earths fission, the H2O and O2 the ‘elemental’ molecules that are the by-products of fission. 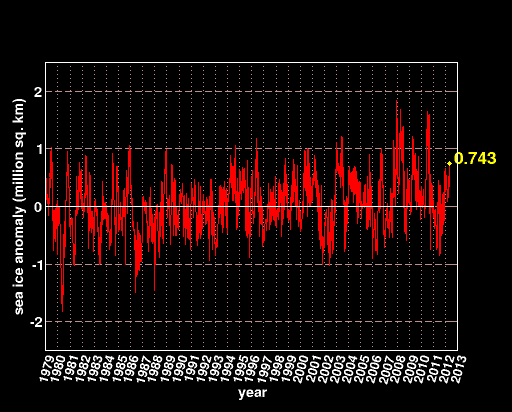 Or maybe human atmospheric CO2 captured some Outgoing Longwave Radiation and cast it under two miles of solid ice. Read “Becoming a TOTAL Earth Science Skeptic” and help free humanity from warmist lunacy ! LMAO! That is where the Missing Heat is. Floating Ice lost in their Whiskey glasses.They are not Dyslexic they’re drunk. The high resolution images I have seen of the ice around Antarctica shows floating ice chunks of various sizes. Those ice chunks are being held in place by wind action and ocean currents. They are not restricting the normal flow of the glaciers. – I will apologise to “Dyslexic Scientists” on your behalf Steve. I am sure you meant to say that the writers of that BBCnews story are incompetent. Dyslexic is not another word for idiot. I bet there are many Scientists who happen to be dyslexic, but do the science professionally. – I guess phe paradox “sense was the fault of BBCNewseco-activists who couldn’t resist adding the lines of spin “This is leading to a weakening of the shelves” etc. So I should further apoligise to turnips for implying they have the same IQ as BBCNewseco-activists. As a scientist who was diagnosed with dyslexia at a young age, I am very insulted by the insinuation that dyslexia is synonymous with stupidity or incompetence. I would appreciate if you could change the title of your article. Thanks. I appreciate you changing the title. Thanks. Could you also change the address? Which still reads the original title, at least in my browser. Thanks. As an engineer and programer also studying science and qualified in environmental areas of science, and who works really really hard, who has had Brain freeze a number of times at a young age, I am very insulted by the insinuation that Brain freeze is synonymous with stupidity or incompetence. I would appreciate if you could change the title of your article. Thanks. @Sparks – apologies if you thought I was being overly sensitive. I don’t think the article needed, or even benefited, from the previous title I’m all for a bit of humour but it doesn’t need to be at the expense of others. Hi Chris, I understand where you are coming from, No need for apologies, I’m just being funny! I thought is was good that Steven addressed your concern about the title, I’m sure no offence was intended.